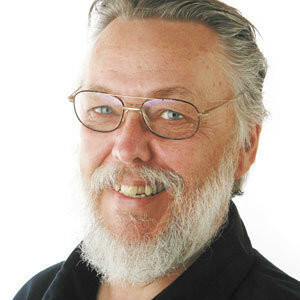 Not much has changed for the retired Robert C. Cuddy, former reporter for the San Luis Obispo Tribune, just as he often failed to check facts for his news articles, he failed to fact check his letters to the editor before sending them to be published. Mr. Cuddy, details matter. Fact: At a meeting chaired by then OCSD Board President, Jim Hill (the current Mayor of Arroyo Grande) on January 12, 2011, attorney Matthew Guerrero was unanimously appointed to fill the seat held by long-time board member, Barbara Mann, who had resigned months earlier, due to the rancor brought to the board by Mary Lucey. Jim Hill and then recently elected Carol Henson resigned (March 28, 2011) from the OCSD board when they found themselves on the losing end of a 3-2 board that allowed a general manager to fail to cooperate with repeated unanimous board directions. The OCSD Board at the time was in sync – the entire board, expected the general manager to get three years of delinquent audits done. To Hill’s credit, over the course of his tenure at OCSD, he eliminated health insurance benefits and cell phones for directors paid for by ratepayers, eliminated director stipends for committee meetings, got board meetings televised so residents could follow issues, and helped form the Five Cities Fire Authority. Under his leadership, OCSD raised rates sufficiently that would have, if properly managed, been able to continue service into the future — while building modest reserves. Just after Hill and Henson’s replacements, Felma Hurdle and returning board member, Rick Searcy were appointed, it was Cal Coast News reporter Karen Velie who found OCSD General Manager Rafaele Montemurro, was overpaying himself. That board then hired Supervisor Teixeira’s sidekick, Tom Geaslen. After a year and a half, with Guerrero as president, and mountains of evidence presented, the board finally fired Geaslen. This time, “for cause,” for — you guessed it (and it was going on under the nose of Guerrero), overpaying himself. Geaslen was required to repay the district $45,000. The districts legal bills associated with that fiasco were upwards of $30,000. Then, only a few months later, President Guerrero found himself firing a third general manager, Lonny Curtis, “for cause,” who overcharged Oceano residents for water and sewer hook-ups. All these hirings and firings cost the district plenty. Legal counsel bills were double their norm to protect the district from its dysfunctional self. Collateral damage from that time period continues to plague the district. Some examples include, the staff joining a union to protect their jobs; all got raises. While another quit, filed a claim against the district, and in order to avoid future litigation, the district settled, paying several thousand dollars more than the claim asked for. As for those reserves Hill’s board had hoped for; they were spent by the Guerrero and Lucey boards. The Guerrero board spent much of it on legal bills; raises for staff, and the embarrassing year-long sequence of buying a jetter trailer that was too heavy for any truck the district owned to pull safely. They then purchased a used truck that could pull it, but couldn’t stop when in motion. So, they then purchased a new truck that could pull and brake under the weight of the jetter trailer’s full load. But, the spending associated with the jetter didn’t end there; they had to send their staff to driving school to get Class A driver’s licenses so they can legally drive the new truck with the jetter trailer. Now that these staffers have higher qualifications, the district has had to raise their pay in order to keep them. Cuddy’s claim that Guerrero brought Paavo Ogren aboard has somehow rescued the district board from their dysfunctional-selves is poppycock. As long as Mary Lucey is on the OCSD board, dysfunction will reign supreme. Ogren is only in Oceano because he’s paid over $250,000 a year. What’s saved in legal is spent on Ogren. Ogren made it clear from the beginning he was not interested in working for Oceano, overseeing six employees, if it paid less than his position at the county where he over saw 165 employees. Fact: The Hill’s left Oceano and moved to Arroyo Grande in July 2011. So Cuddy’s characterization of the Mayor living in Arroyo Grande a “couple of years” is incorrect. The fact is that Jim Hill has lived for decades within ten square miles in the south county. Hill is an intelligent nuclear engineer with a law degree. His tireless work as a board member on the Sanitation District, FCFA, and his comprehensive understanding of the complex water issues has been invaluable in his year as Mayor of Arroyo Grande. Mr. Cuddy, you will not find a more thorough, conscientious and thoughtful public servant. Arroyo Grande is lucky to have the leadership of Jim Hill as its Mayor. THIS POST on Aaron’s hate-based web site. I’m laughing out of my chair due to the pure hypocrisy of this kidlet hiding behind an anonymous pseudonym while ACTUALLY writing these words! Nearly EVERY ARTICLE on Aaron’s hate site is posted anonymously. Is that about the ugliest set of chiklets you’ve ever seen? Sheeesh…. Thank you Julie, I always enjoy reading your articles/op-ed pieces reporting what’s happening in the various meetings in the different cities on the Central Coast. Cuddy is a very dishonest man …. He tried to cover for Dee Torres when she was outed for mismanagement and alleged theft from CAPSLO homeless program. Cuddy’s wife was working for AG rec program and getting paid while writing AG fluff pieces for Tribune.